History: In 1994, North Texas Vision of Wichita Falls was incorporated as a 501 (c) 6 organization dedicated to the revitalization of downtown Wichita Falls by combating deterioration; promote the common good and general welfare of the community; improve living conditions and promote economic development in downtown Wichita Falls. 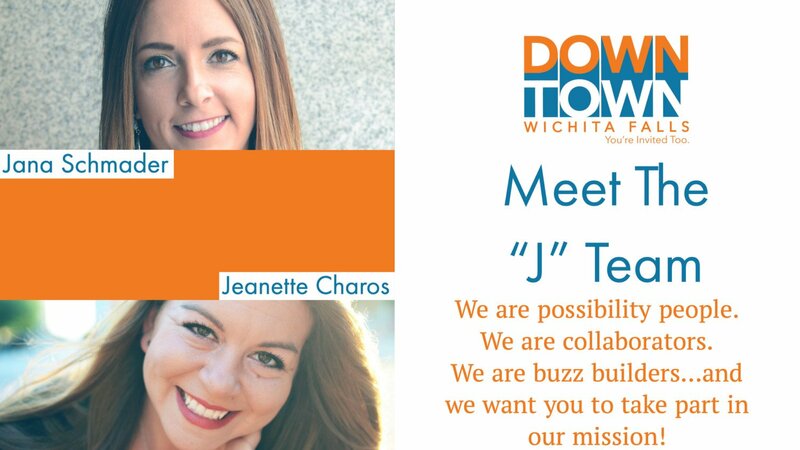 Because the ‘parent organization’ was membership based, in 2000 the organization formed the 501 (c) 3 known as Downtown Wichita Falls Development, Incorporated. Membership remains an essential part of our programs. The Downtown Wichita Falls Development organization was created to assist in preservation of buildings, sites, and historical, traditional or cultural values; to perpetuate customs and traditions which seem to beautify and enrich the community life of Wichita Falls; to disseminate knowledge, promote interest and act in an advisory capacity to interested groups, property/business owners, investors or developers interested in the revitalization of Downtown Wichita Falls. Mission: Through public and private investment we will improve the downtown, entice new business and residents, and grow the economic base of our community and current businesses. Economic Development strengthens the existing economic base by assisting downtown businesses with stabilization and expansion opportunities, recruiting new businesses, and promoting the competitiveness of the downtown district. Promotion and Marketing the unique characteristics of Downtown to shoppers, investors, new businesses, and tourists, creates a positive image for downtown. Downtown is the ‘heart of the City; it promotes a sense of place for citizens, businesses, and visitors. Retail promotional activities, special events and continuation of programs build the positive perceptions associated with Downtown. Membership is available to all citizens, businesses, and interested groups to support the ongoing programs; the administrative office; promotions and special events; and the web site to advertise the downtown businesses and events.